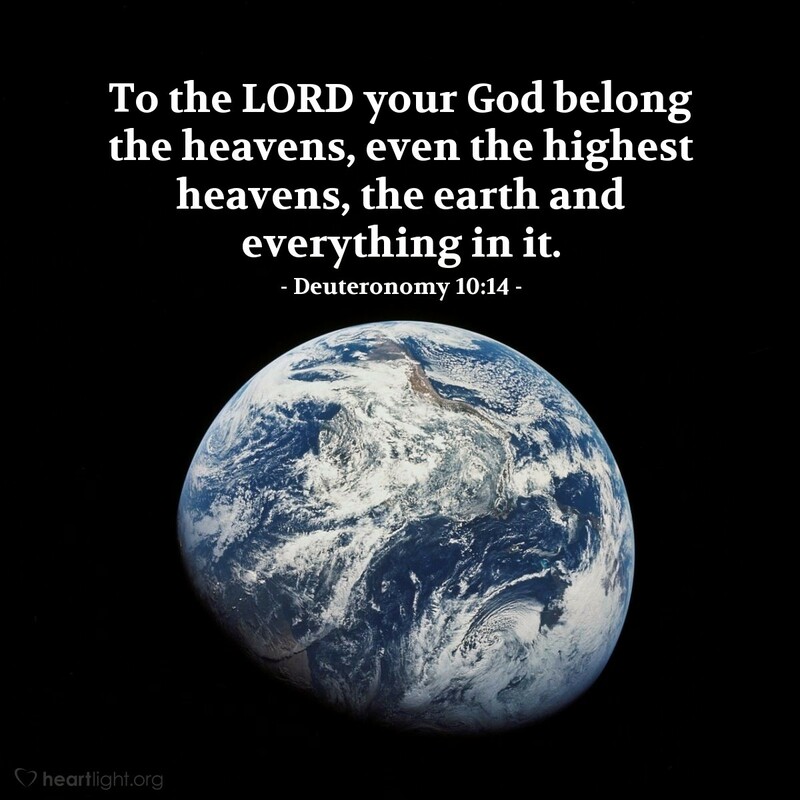 It all belongs to God! The multifaceted and creative side of our heavenly Father's nature is revealed in the astounding beauty and variety in our universe. This is not our world, but our Father has chosen to share it with us as one of his many gifts to us. Our Creator chose to provide us with the changing seasons in each year and the kaleidoscope of colors in each sunset and sunrise to frame our days. These are reminders of his love for beauty and variety, for predictability and also change. In addition to all that God has made and placed before us, he has crowned us, his human children, with glory and honor. Each of us is made, even with all of our differences, in his likeness. We are bearers of his divine image. Each person and all the peoples are precious to him. All the universe is the LORD's, yet in his greatness, he chooses to know each one of us intimately. Ah, my friend, that is grace upon grace from the LORD who loves each one of us with an undying love as he sustains a universe too vast for us to imagine! LORD God Almighty, the universe is yours. You sustain it by your powerful word. All creation attests to your marvelous power and creative mastery. As the God who is so great, I pray in awe that you are also my abba Father who welcomes me into your presence. Thank you for using your majesty and might to bless us and provide for us such a wonderful world in which to live. In Jesus' name I pray and praise you. Amen.